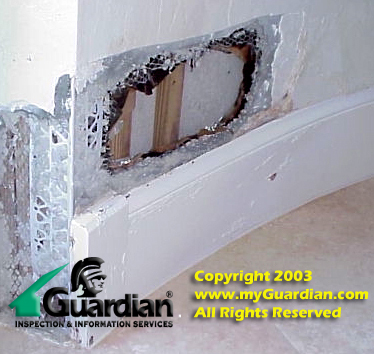 Common code defects that may cause water leakage into your home and attract termites. 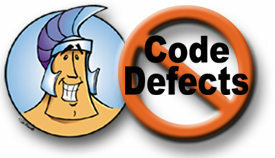 Uncover the most common code violations our Guardian Inspectors encounter in the field. Learn what to look for and why. One of the more common code violations our inspectors observe in the field involves the thickness and workmanship of mortar joints in masonry construction. The purpose of this article is to assist property owners and construction and inspection professionals in identifying these common code violations so they may be corrected. What is a Mortar Joint? 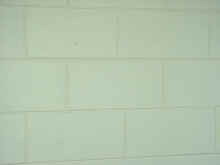 Figure 1: Properly-sized and tooled mortar joints in a masonry wall. A mortar joint is the space between concrete blocks or bricks in masonry construction. This space is filled with a compound made of cement, aggregate and water referred to as mortar. One of the main purposes of mortar is to act as a bonding agent between the blocks, holding the wall together. Another and often overlooked purpose of mortar is to prevent water from penetrating through the joints in the wall during heavy rains and flooding. 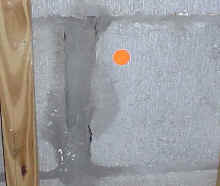 Figure 1 shows a masonry wall on a residential property with exposed mortar joints. Notice how the joints have been properly-sized and the mortar tooled for a smooth, professional-looking job. The tooling operation helps to compact the mortar, providing protection against water penetration in areas subjected to heavy rains and winds. Why are Mortar Joints so important? The compressive strength of a masonry structure depends not only on the brick being used but also on the type and size of mortar between the bricks. Thus, a primary component of masonry construction is the mortar itself. The characteristics of masonry in terms of strength, durability, and safety result from the properties of the mortar mix as well as other materials and methods of bonding, joining, anchoring, and the like. Years ago, masonry construction referred only to building with stone, but today masonry construction typically includes manufactured brick, block, and other materials. Modern masonry construction in Florida homes often consists of load bearing 8 x 8 x 16 concrete blocks that are available in a range of sizes and shapes. The standard weight of the most commonly used concrete block is 40 pounds, which is made of sand and gravel aggregate. Special shapes for ends, corners, lintels, and bond-beams are also available with reinforcing rods and tie bars with grout to increase the strength characteristics of the structure. What does the Code say about Mortar Joints? 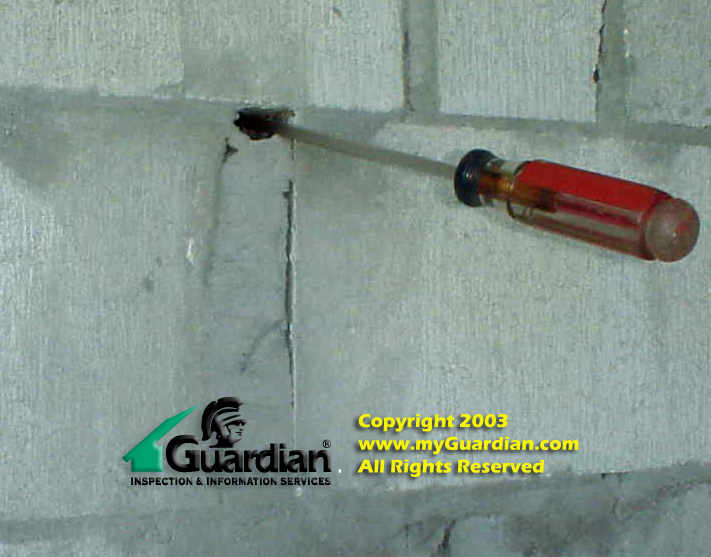 The thickness of mortar joints is critical to the overall structural integrity of the dwelling. As a result, the maximum allowable thickness of mortar joints is defined in code Section 605.2.1[i] of the International One- and Two-Family Dwelling Code. In general, masonry head and bed joints are required to be no more than 3/8 of an inch thick. The head joint of an 8 x 8 x 16 concrete block is the vertical 8 joint between the two adjoining blocks (when looking at the 8 x 16 face), and the bed joint is the horizontal 16 joint between the blocks below and above (also when looking at the face of the block). Mortar is a compound ordinarily made of cement, aggregate, and water with a wide range of workability characteristics largely dependent on the type of cement and the amount of aggregates used in the mixture. Special cements such as Portland increase strength while lime increases plasticity along with increasing the incidence of shrinkage that can be serious, particularly in joints larger than 3/8 inches wide. Excessive shrinkage can destroy the integrity of the masonry. It is important to note that the code only specifies mortar joint tolerances for load bearing masonry. Non-load bearing masonry elements and veneers are often not required to meet these tolerances. Additionally, the code makes an exception for the thickness of the starter course placed over foundations. This course is to be a minimum of ¼ inches and not more than ¾ inches. The variation is allowed to build a level bottom course to start all those above. Figure 2 shows the inside view of a poorly laid mortar header joint that well exceeds the allowable 3/8 width limit established by code. In fact, this vertical header joint measured more than 1 wide. As a result, the mortar will dry and shrink, leaving gaps which will allow water and cold air to penetrate through the wall. Unfortunately, mortar joint defects such as this are becoming increasingly common in todays residential construction and often go undetected by the new home owner. 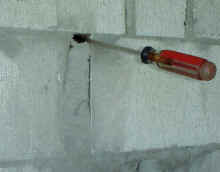 Figure 2 - Improper mortar joint thickness. This is due in part to the fact that in todays construction, mortar joints are covered with stucco on the outside and drywall on the inside, visually hiding the defects from view. Figure 3 shows an outside view of another poorly laid header joint that well exceeds the allowable 3/8 width limit established by code. This header joint not only measured nearly 2 in width, it also had open gaps in the mortar, allowing visible daylight (and our Inspectors screwdriver) to easily penetrate through the mortar joint. As a result, water and moisture will be able to penetrate through this wall, which is a common cause of water and wood destroying insect damage in the near future as the stucco cladding (siding) begins to crack. 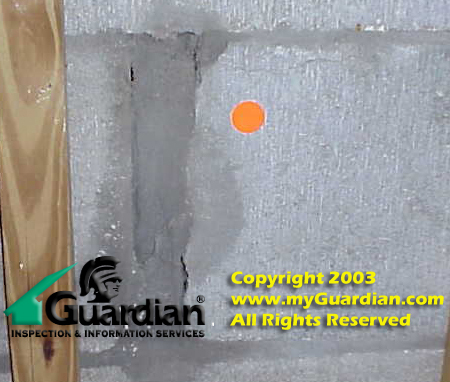 Figure 3: Improper mortar joint thickness with large gaps due to shrinkage of mortar between the concrete blocks. a very expensive custom-built home shortly after the new owner takes occupancy. This damage could have been avoided by proper mortar joint sizing and by tooling the mortar between the joints. due to water seepage through improperly-sized mortar joints. 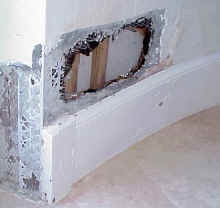 FIGURE 5: Removal of the plaster wall surface reveals water damaged elements that could have been avoided by properly-sizing and tooling mortar joints. As we have seen, mortar is a primary component in determining the allowable compressive stresses in masonry construction. The size of the mortar joint is important to provide overall masonry strength and protection against water penetration. 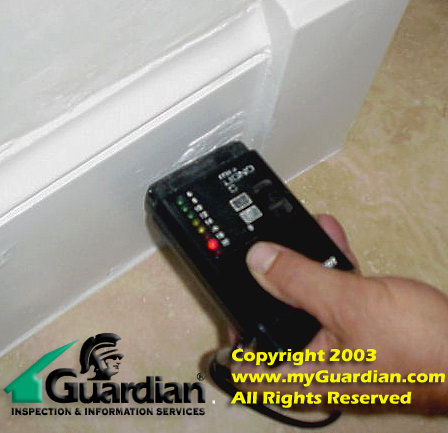 As professional home and commercial property inspectors, we frequently observe the code violations discussed in this article and encourage property owners as well as inspection and building professionals to take the time and effort to identify and correct them. Therefore, the conditions discussed in this article should be corrected immediately by a qualified and licensed contractor. International One- and Two-Family Dwelling Code 1998, Copyright © 2000 by International Code Council, Inc. Published in cooperation with: Building Officials and Code Administrators International, Inc., International conference of Building Officials and Southern Building Code Congress International, Inc., Incorporated the provisions of the 1995 edition of the CABO One and Two Family Dwelling Code Promulgated by the council of American Building Officials (CABO). NOTICE: The information presented in this article is intended for educational purposes only. It is not intended to identify or predict all the potential defects or conditions that may exist and be considered for a complete analysis of a given property. Would you like to print this article? Simply click on the hyperlink below to download a professional "tear-sheet" of this article.